TOP PRODUCER "PLATINUM" AWARD winner with 2 PERCENT REALTY ! I've been a licensed Realtor since 2000. 12 years with Remax & Keller Williams achieving Triple Gold status multiple times and Top Producer "Platinum" status for the last 6 years with 2 Percent Realty. With 300+ homes sold over the last few years with 2 Percent Realty, I can get your home sold along with saving you THOUSANDS in commissions ! Contact me today if you want your home added to my growing list of SOLDS !! At 2% Realty™ Calgary Discount Real Estate, we’re a little different - in a very good way. 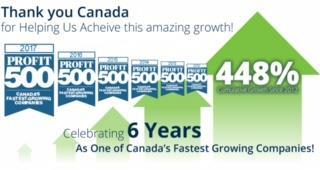 We believe in value added service and helping you keep more of your investment. We offer 100% Realty Services for a REDUCED commission rate when selling your home. With 2% Realty™Calgary Discount Real Estate Concept, you don’t get less, you just pay less in selling costs. As a licensed Real Estate Associate in Alberta I will fully assist you in the purchase of any home actively for sale on the market - it is important to note that as a buyer you do not pay any commissions. My top priority is looking out for your best interests and ensuring your needs as a buyer are met. With my 18yrs of experience, I will ensure you are protected as we negotiate our way through the buying process from start to finish. Please feel free to browse my listings, I also provide full free access to the MLS® System through my website for you to view at your own pace and privacy, I am here to assist you every step of the way. Why choose 2% Realty™ Calgary Discount Real Estate as your Trusted Calgary Real Estate Brokerage? At 2% Realty™Calgary Discount Real Estate, we believe that you shouldn’t be surprised by hidden fees and additional charges which is why our commission structure is so simple. Our fee is always less than the standard rate traditional brokerages have been charging for years. Below is a chart illustrating 2% Realty's commission structure vs what you may pay with a Calgary Agent or Brokerage firm that charges the standard commission rate of 7% on the first $100,000 and 3% on the balance of sales price. 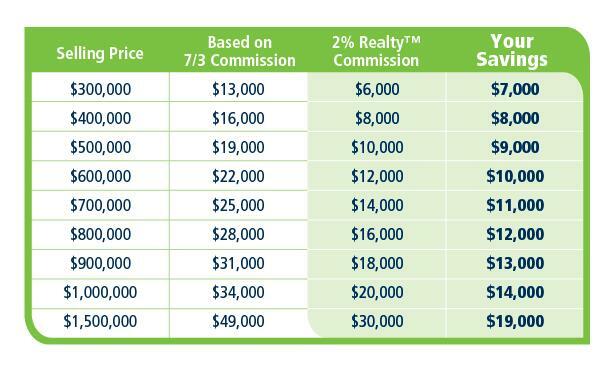 By Choosing 2% Realty™, your Guaranteed to save THOUSANDS in commission ! After all, it’s your money; so why not keep it ? 2% Realty™ Calgary Discount Real Estate is your leading Brokerage for real estate in Calgary. I am proud to be a part of one of the most trusted Brokerages for realty in Calgary, helping clients to keep more of their investment. I am dedicated in providing superior service to clients buying and selling homes in Calgary. You will ALWAYS save money !! I guarantee it !! The trademarks REALTOR®, REALTORS®, MLS® and the associated logos are owned and controlled by The Canadian Real Estate Association (CREA) and identify real estate professionals who are members of CREA and the quality of services provided. Used under license.